Sam's Anchor Cafe will be closed for several weeks for remodeling, and we'll announce alternate meeting locations weekly for the duration of the remodel. 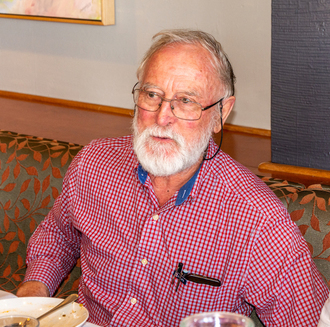 On Wednesday, April 17, we meet for a Happy Hour meegting at 5:30 p.m. at Servino Ristorante, 9 Main Street, Tiburon. Guests are welcome. $20 for meeting + no-host drinks from the bar. Bill Lindqvist spoke about global warming—or the lack of it— and told us that nothing has really changed in the past 10 years. He believes we hear fear-mongering and that the world is going to hell, and “It’s pure bloody nonsense,” he said. He said that about 20 years ago, when warming ebbed, the terminology changed from global warming to climate change, but it was still erroneously attributed to human activity. He explained that the International Panel on Climate Change (IPCC), the United Nations’ body for assessing the science related to climate change, concluded that climate is nonlinear, so it’s not predictable. Instead, it created possible scenarios, which is a problem, because the man on the street doesn’t distinguish between climate change and possible scenarios. Thus, he concluded, public policy has been based on models, not the reality of what’s happening in the world. He showed a graph with big peaks and troughs and said that the peaks are El Niño periods. 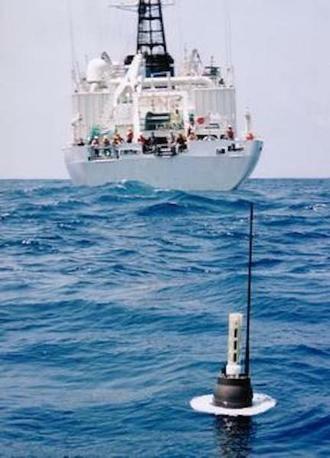 Argo is an international program that uses 1,200 floats to observe conditions in the Earth’s oceans and has been in operation since the early 2000s. The floats measure temperatures below the surface of the oceans and then surface and transmit the information to satellites. It shows what happens to the oceans as a whole. “The temperature is rising a little bit,” said Bill, and in 15 years, it’s only increased three one-hundredths of one degree. “There’s essentially been no change in the temperature of the ocean at all,” he said. Sea level rise in Alameda is only a third of what it is in San Francisco, because the land is rising there. Conversely, in Eureka, the land is going down, so sea level rise is greater than it is in San Francisco. To get an accurate picture, you have to look at what is happening to sea level relative to what’s happening in the ground. “We’ve all heard about extreme weather,” said Bill, as he displayed a graph showing the power of hurricanes, with lines going up and down and no significant change in the pattern. Similarly, another graph showed fluctuations in tornadoes, but no extraordinary change in the pattern. “The whole climate change industry is a juggernaut. It’s an industry,” said Bill, and he referred to NOAA data that shows droughts decreasing in severity, while people believe they’re becoming more severe as a result of global warming. Marianne Strotz asked where the waters from the shrinking glaciers in Switzerland are going, and Bill replied that they’re going to the rivers. He added that Norwegian explorer Roald Amundsen led the first expedition through the Northwest Passage in 1906 and didn’t find much ice. Later, in the 1950s, the Canadian Navy sailed the HMCS Labrador through the Northwest Passage and didn’t encounter much ice either. “Things fluctuate in this world,” he said. He reported that polar bears have increased in numbers in the last 50 years, and he credited Canadian scientist Susan Crawford for the research that identified the increase. “I have a chart. It’s from NASA,” said David Albert, and he explained that it shows sea level rise and a huge increase in CO2 since 1946. “It hasn’t even doubled,” said Bill, pointing out the need for carbon dioxide and saying that the productivity of crops has increased, and the Sahara Desert is greening, because of CO2. 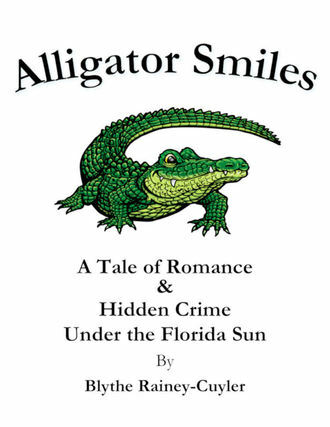 Blythe Rainey-Cuyler is the author of Alligator Smiles: A Tale of Romance and Hidden Crime Under the Florida Sun. “The reason I’m here is that I met a lovely lady at the bookstore at the Boardwalk Shopping Center,” she said, explaining that she had an immediate affinity for her, and likes the bookstore, because it supports our local library. 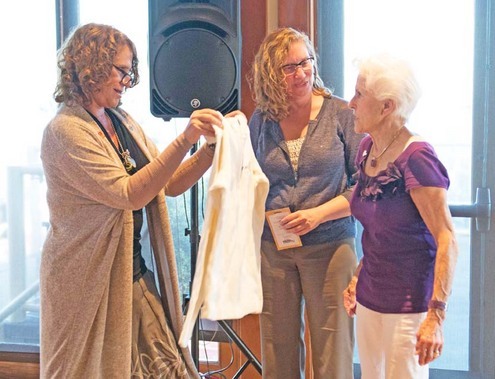 She was with her granddaughters, and one of them whispered, “What a nice lady!” She started talking to Marianne Strotz who found out that Blythe wanted to meet people in the community and told her about Rotary. Blythe’s son is an attorney, and his firm is Cuyler-Tubbs in San Francisco. He does information technology work, and his wife is also in law and works for Google. They live in Belvedere, and “We are all together in a large home that has large spaces for all of us,” she said. She recalled that her son called her in Chicago to say he was starting a family and wanted her to be involved. She’d been a single working mom since graduate school and was putting in hours 24/7 all around the country, putting on concerts. She wanted to be part of what was happening in her son’s life, and she was tired of the hours she was putting in. She always loved to write, and when doing performing arts work, she always made time to write, even ads. And so, she put everything in storage and decided to write. “That’s what I did, and that’s why I’m here,” she said. “I’ve always loved California, and I’ve particularly loved Northern California,” she said. She has a graduate degree is communications utilization and research and has been Involved with theater since she was 12. Her parents were her dearest friends and knew she had a dramatic flair, and they got her into repertory work. She has produced two TV shows, one in New York and another in Los Angeles. “I’ve been very involved in the arts, either as a director, producer or writing scripts,” she said. She started to write novels after her mother became ill in the late 1980s. She went to Florida to be close to her, and she managed a large performing arts hall there. Her job was to develop a cultural center in Florida, and “I thought, oh, another adventure.” The area for the center was north of Tampa, inland, and “ I uncovered inadvertently land scams and a lot of nefarious dealing with the good old boys,” she said. She was the only female executive in the area, and they thought she would fail in getting the money for the center. When she did, they were not happy. She started taking notes about the experience, but didn’t get the book, which was self-published until 2012. 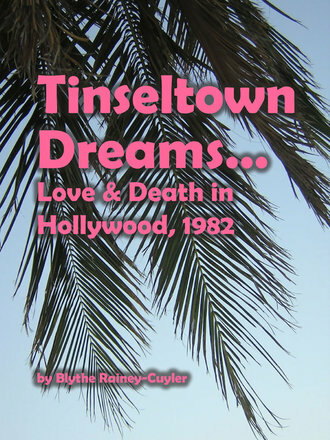 She is working on a third novel, which is a sequel to Tinseltown Dreams. It starts at the No Name Bar in Sausalito and is about a film production company that come to do a film here and how they solve problems. She still has as a couple of chapters still to write. “All three novels have a strong female protagonist,” she added. Blythe was unable to market Alligator Smiles as well as she should have, and she is trying to find a literary agent or publisher. In addition, she needed to be on social media to promote her books. Bill Lindqvist said that when he was a young man, he was attracted to Jayne Mansfield and Marilyn Monroe, and he asked who the stars were in the 1980s. Blythe listed Joanne Woodward, Audrey Hepburn, Joan Collins and Sean Connery as big names of that time. President Jon asked about the concerts Blythe produced, and she named the Bolshoi Ballet and Johnny Mathis. “I booked the talent,” she said, and she made sure the artists filled the theater. She recalled Victor Borge having a separate dressing room with a bed and carafe of water, and she explained that the contracts of performers have special needs. She hoped he would have enough energy for the show, because he was in his 90s, but she discovered that he looked 52 at the most. He was prancing on the stage, and ”He was absolutely phenomenal,” she said. “What did you think of the movie Bohemian Rhapsody?” asked Bill Lindqvist. Blythe hadn’t seen it, and Bill said it was fabulous. Blythe then read a short, suspenseful excerpt from Alligator Smiles. You can find out more about Blythe and her books at http://skylarkflight.com/. Four-Way Fest: Friday, May 17 to Sunday, May 19, District Conference. We welcome guests. 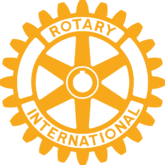 If you'd like to hear a guest speaker or find out more about Rotary, please pay us a visit. We meet for lunch on Wednesday, and most weeks, a guest speaker makes a presentation. Lunch & attendance: $30, attendance only: $10. Meetings of the Board of Directors are open to all members and take place monthly at a time to be announced. For information, please send an email to judith@telli.com. If you'd like to be a guest speaker, please contact Marianne Strotz at properties@pacbell.net. 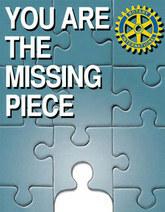 Send mail to Rotary Club of Tiburon-Belvedere, P.O. Box 220, Tiburon, CA 94920. Follow us on Facebook: https://www.facebook.com/tbrotary. Hope you "like" us! 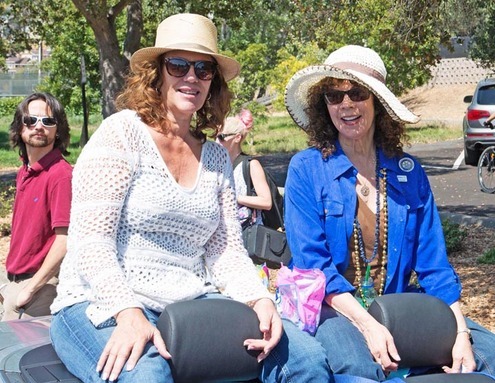 Scroll down to see our photo gallery of Rotarians at work and play! 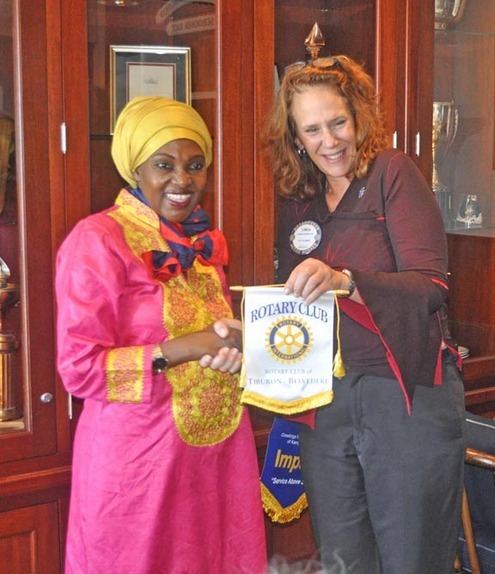 The Rotary Club of Tiburon-Belvedere supports a wide range of programs, with a focus on youth, literacy and community. We believe that reaching out to others makes a better world and encourage others to join us. Here's what we're supporting in 2019-2020. 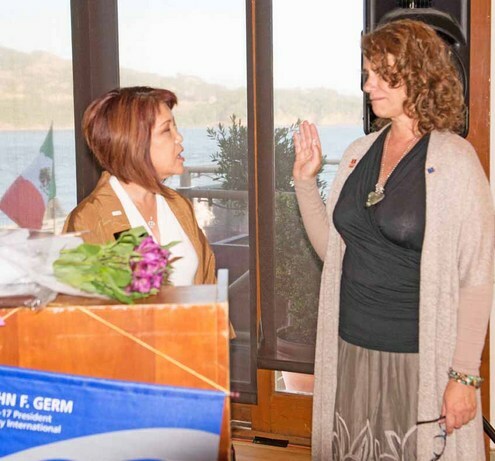 • Ambassadors of Hope and Opportunity: Support to provide a safety net of stable housing, guidance and community connections for young people 16 to 25, who are homeless or in danger of becoming homeless in Marin County. • Bel Aire School’s Liberia Project: Advice and support for the fifth-grade students’ ongoing projects to help their sister school in Liberia, thus encouraging altruism at home and helping children in a disadvantaged country across the world. 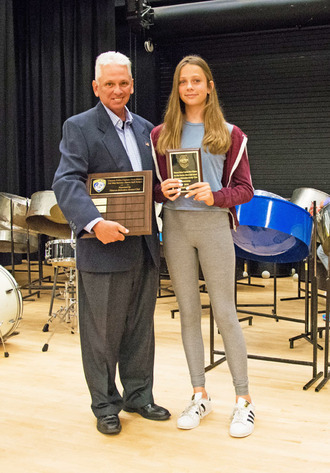 • Dave Hutton Rotary Award for Service Above Self: An annual award to a graduating eighth-grader with a record of outstanding community service at Del Mar Middle School. • Global Book Exchange: Support for the Global Book Exchange in San Rafael, which collects lightly-used books and redistributes them to teachers at schools with limited budgets, disadvantaged families and nonprofits that serve children, as well as schools throughout the world. • Marielos Fund: A scholarship to send a young woman in El Salvador to medical school. • Marin Youth Sympathy: Support for sending young musicians on a tour to perform in Europe. 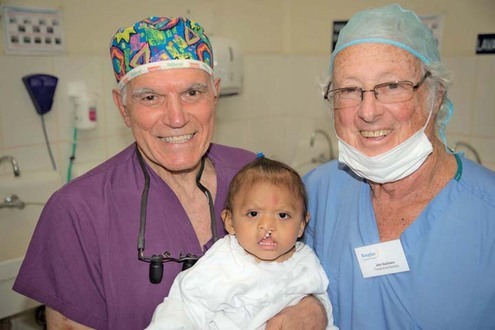 • Rotaplast International: Support for volunteer medical teams to provide life-changing surgery for children with cleft-lip and palate in needy communities around the world. • Rotary Youth Leadership Awards: Scholarships so high school sophomores and juniors can attend a special camp that guides them to develop their leadership skills. • Educator of the Year Awards: Annual awards to outstanding educators in local schools, whose unique projects give children a worldview that encourages them to become good citizens. 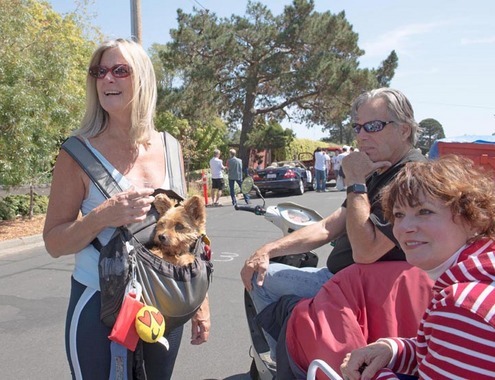 • Marin Villages: Support for programs that help seniors age in their own homes. 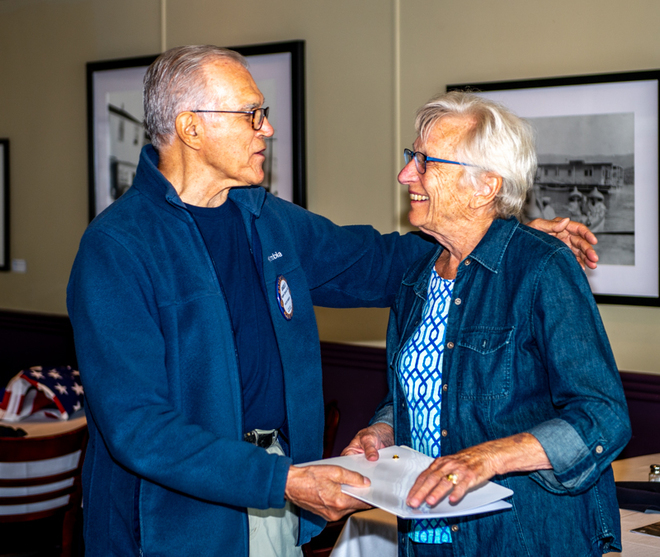 Members pay a small fee and can enjoy social get-togethers and access to volunteers for help with tasks such as getting to appointments, changing light bulbs or assisting with pets. • Service to the Community Awards: Recognition for people who serve the community in meaningful ways, but don’t often get acknowledgement. 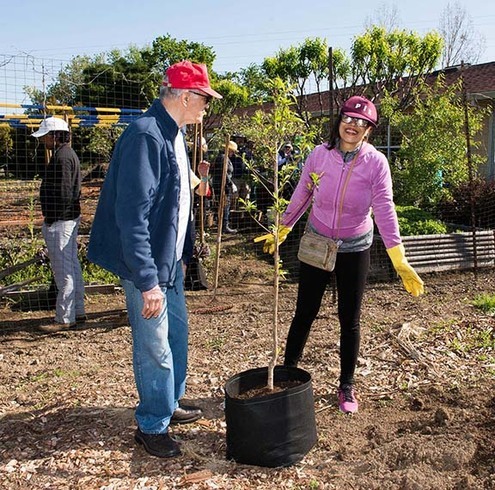 • St. Vincent de Paul: Support for helping Marin’s neediest residents obtain nutritious food, affordable housing, meaningful employment and a voice in the community. • Whistlestop: Underwriting for Whistlestop's Thanksgiving Feast for Seniors. 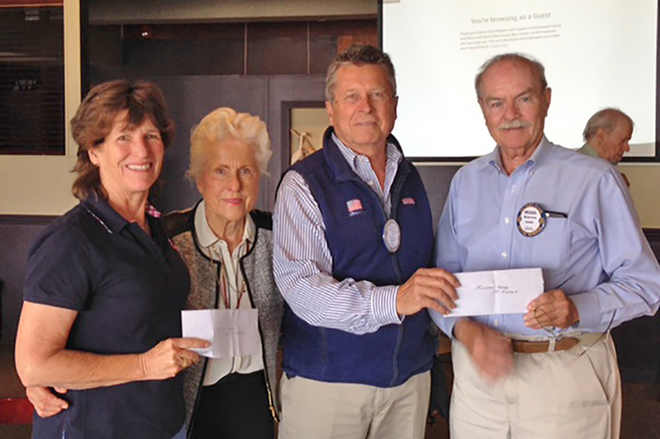 Funds from the Rotary International Foundation's annual campaign earn District Designated Funds for our club. 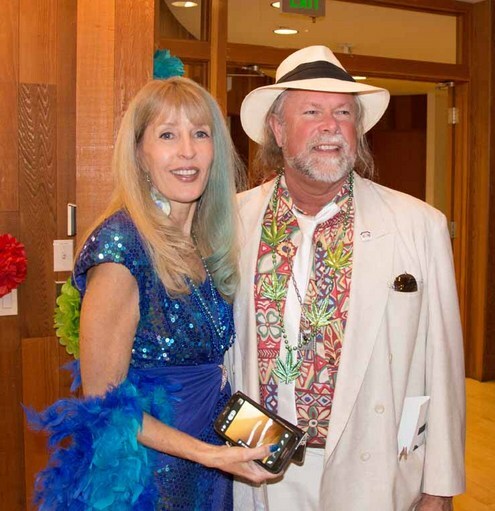 This year, we're contributing to the Rotary Club of Marin Evening's San Jacinto water project in Ecuador. 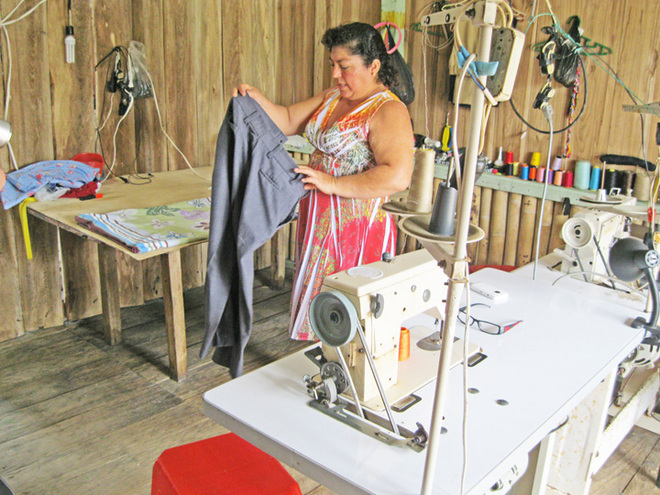 For the past three years, we have contributed our funds to multi-club microcredit projects in Ecuador, Guatemala and Peru to train people in job and entrepreneurial skills and extend microloans to help them start small businesses and become self-sufficient. 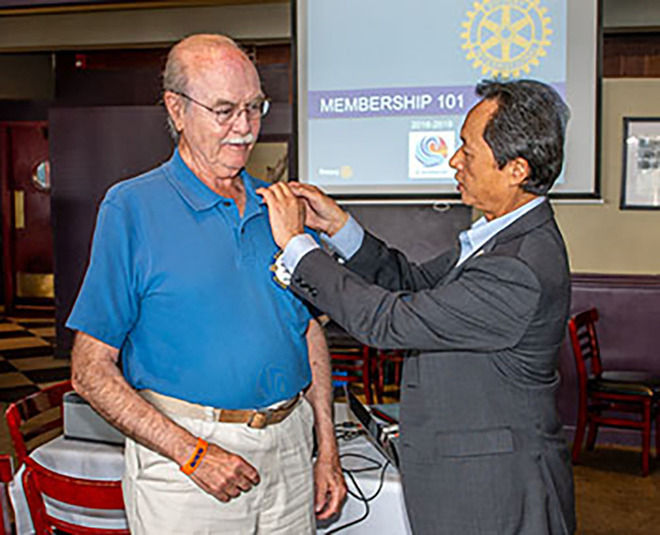 Past District Governor Ron Gin, now district membership chair, presents Mike Keran with a pin in honor of his being chosen Rotarian of the Month for District 5150. 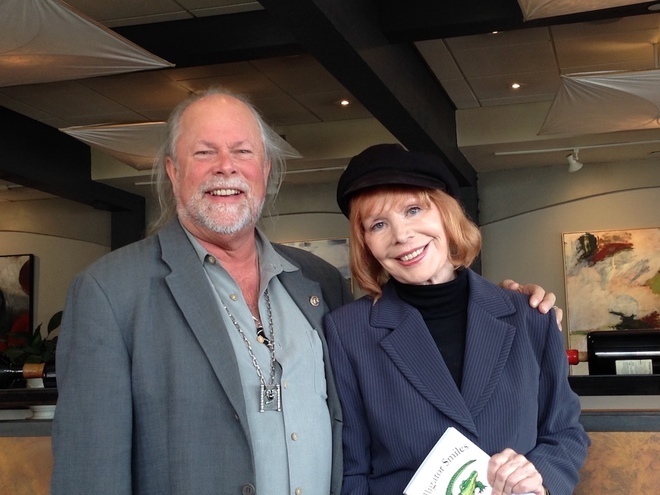 District Governor Jayne Hulbert and First Husband Gene Duffy paid the club a visit. 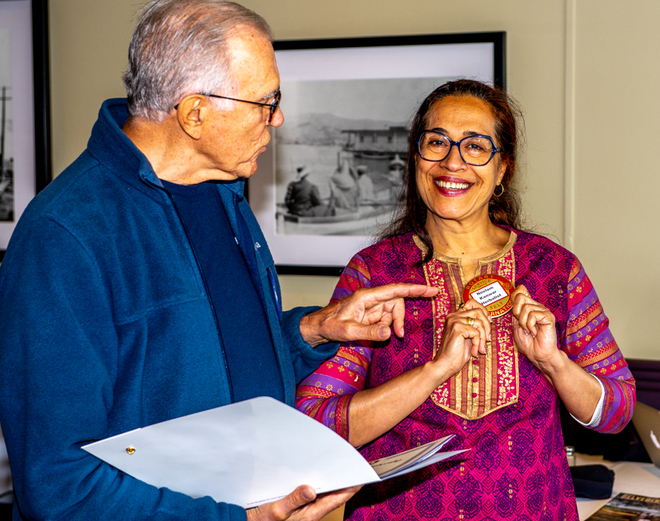 Membership chair Angelo Capozzi welcomed new members Neelam Kanwar (upper photo) and Lynn Spitler (lower photo). 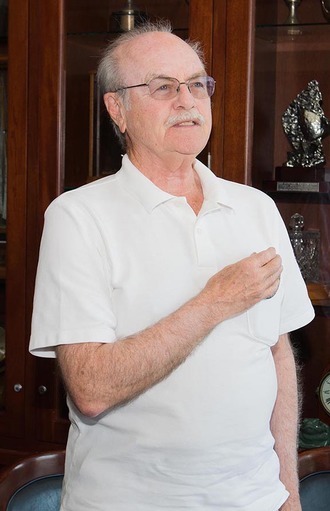 It is with profound sadness that President Linda Emberson announces the passing of beloved member Jim Deitz on Friday, July 13. 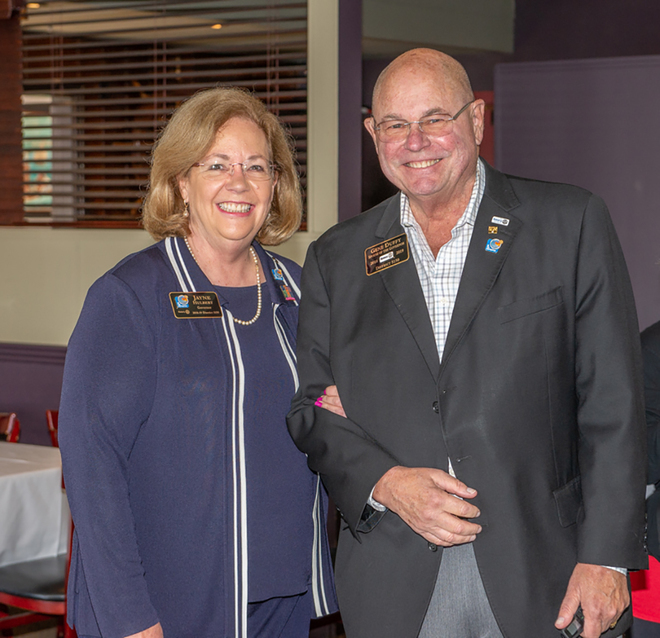 Jim exemplified Rotary's motto, Service Above Self, and his altruistic spirit was a model for everyone. He was devoted to his family, loved dogs and was one of the best. We'll miss him terribly. 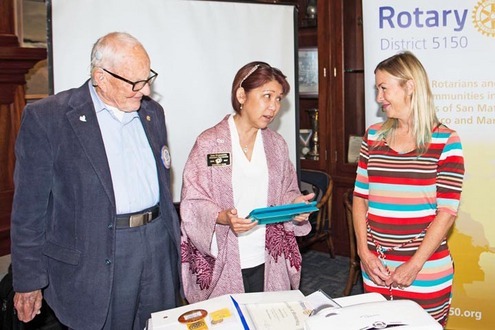 District 5150 named Michael Keran Rotarian of the Month for May. 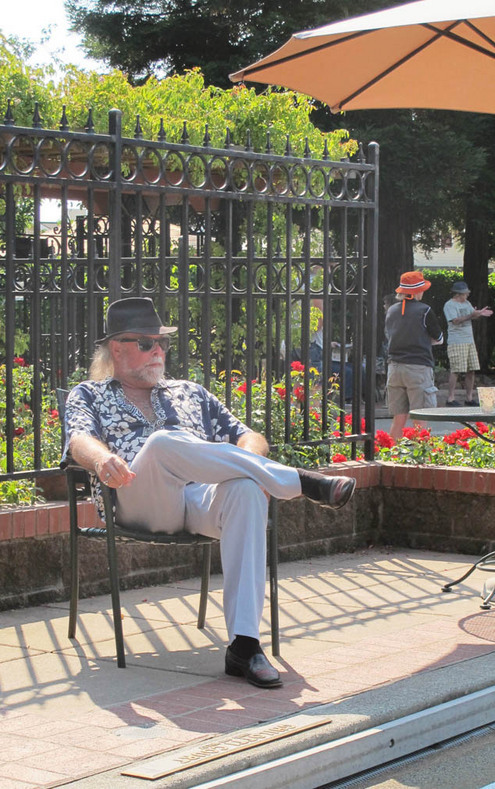 Mike's much-deserved honor is in recognition of his ongoing commitment to St. Vincent de Paul and helping the homeless in Marin County. In addition, he recruits a crew of Rotarians to serve lunch at the St. Vincent de Paul Free Dining Room in San Rafael every month. May marked the beginning of the 12th year of this service project. 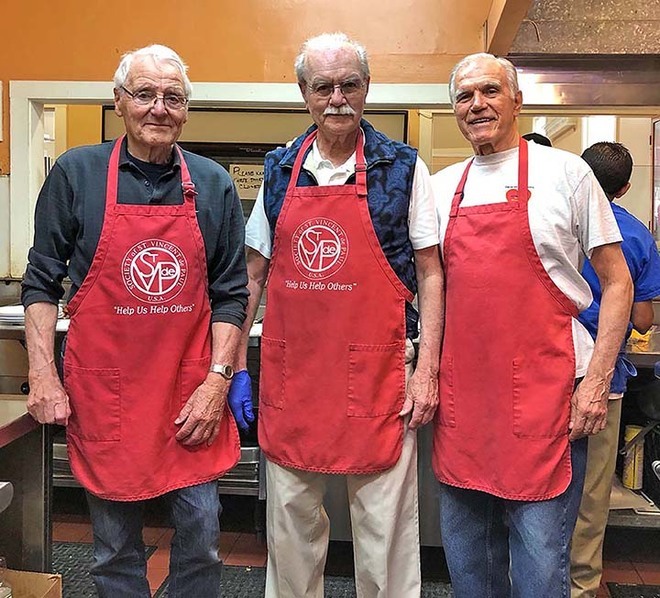 Stalwart volunteers (l. to r.) Klaus Meinberg, Michael Keran and Angelo Capozzi in the kitchen of the St. Vincent de Paul Free Dining Room in San Rafael. 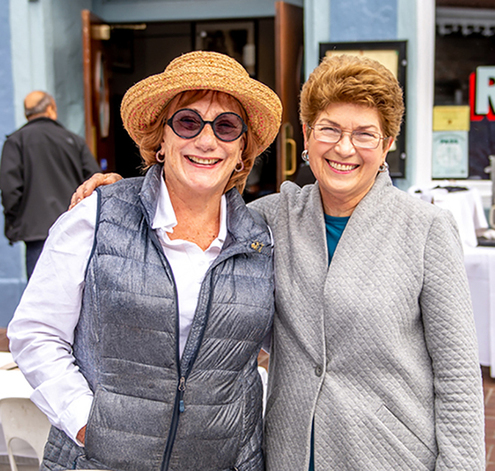 The Rotary Club of Tiburon-Belvedere serves lunch on the fourth Thursday of every month and will begin its twelfth year of volunteering, under Mike Keran's leadership, in May. 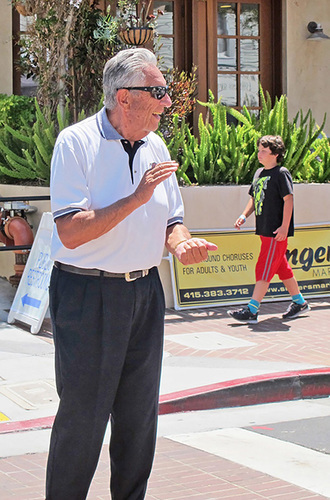 Angelo is team leader for the club's participation in the REST program, and he and Klaus also served dinner to a group of homeless men at St. Hilary's Church the same day. Service Above Self at its best! 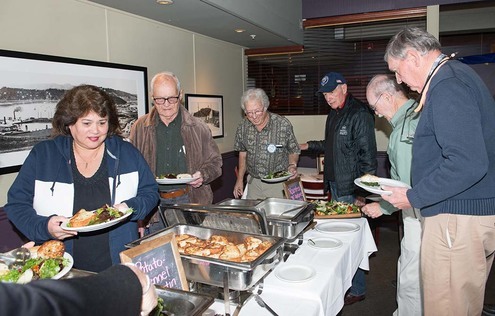 The Rotary Club of Tiburon-Belvedre hosted dinner for a group of 25 homeless men who were spending the night at St. Hilary's Church on Thursday, February 15, as part of the REST (Rotating Emergency Shelter Team) program. 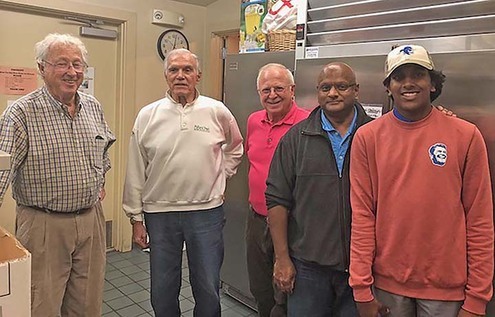 Members of the Rotary crew (above, l. to r.), John Kaufmann, Angelo Capozzi, Brian Walker, Raja Ramachandran and Deven Ramachandran, took a break before serving dinner to guests in Tarantino Hall. 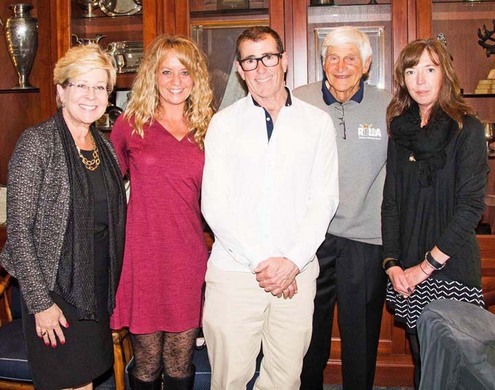 Lata Setty, Annette Gibbs, Bill Goldberg, Zohre Grothe, Karl Hoppe and Lata Setty were also on hand to help. The evening featured good conversation, great appetites and uplifting camaraderie, as well as good food.which included homemade lasagna that Deven, Lata’s son, helped prepare as a family Valentine’s Day project, and Mary Kaufmann'a delicious oatmeal cookies and cupcakes decorated with hearts. 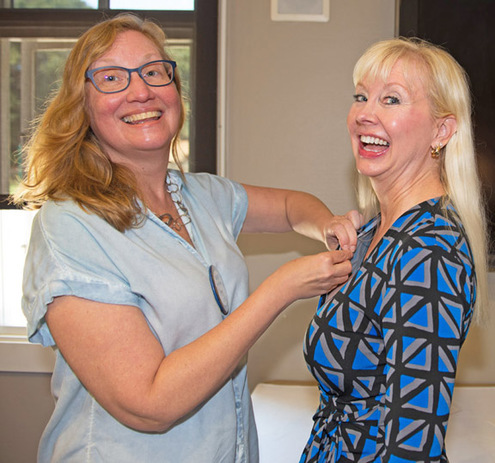 Karen Glader welcomes new member Valerie Marsh to the club and gives her a Rotary pin. 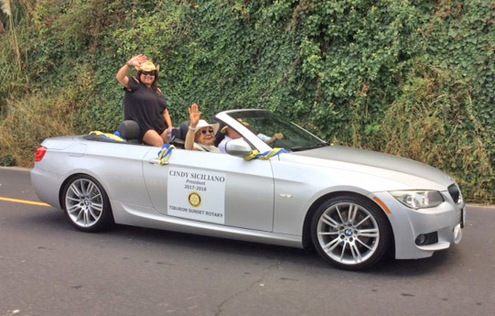 Rotarians have fun in the Day Before-Labor Day parade. 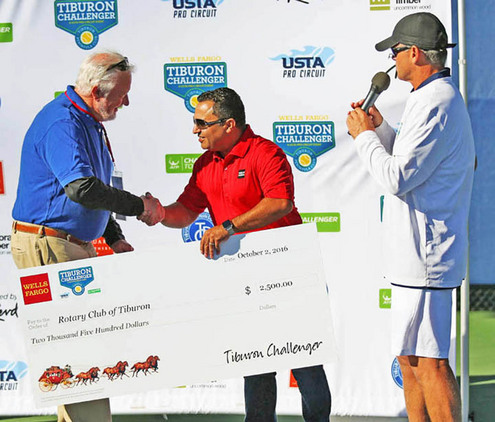 The Town of Tiburon issued a proclamation in honor of the Rotary Club of Tiburon-Belvedere's 40th anniversary, which we will celebrate in June, and the 100th anniversary of the Rotary International Foundation. 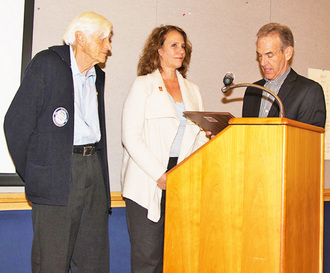 Pictured, left to right, are George Landau, President Linda Emberson and Tiburon Mayor Jim Fraser. Photo: Marsall Gross. Marshall Gross donated two beautiful puppets that he won in a gift basket to Rotaplast's mission in Cebu City, Philippines. 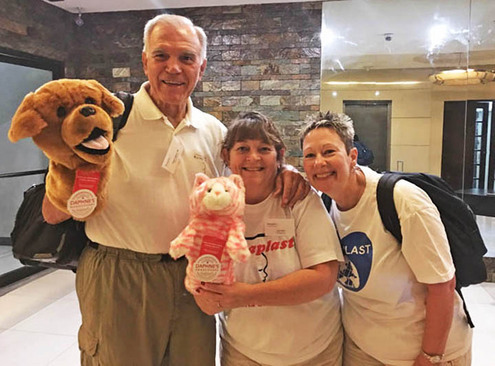 Dr. Angelo Capozzi (with the big dog) reports that the puppets are making kids smile every day before undergoing surgery, and the mission is going well. 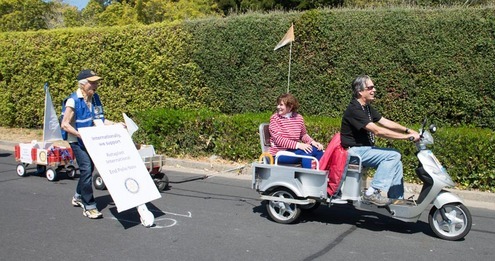 To see more photos of the parade, go to www.tiburonrotary.org and click on "Photo Gallery." Dana and Chester (left), making friends. 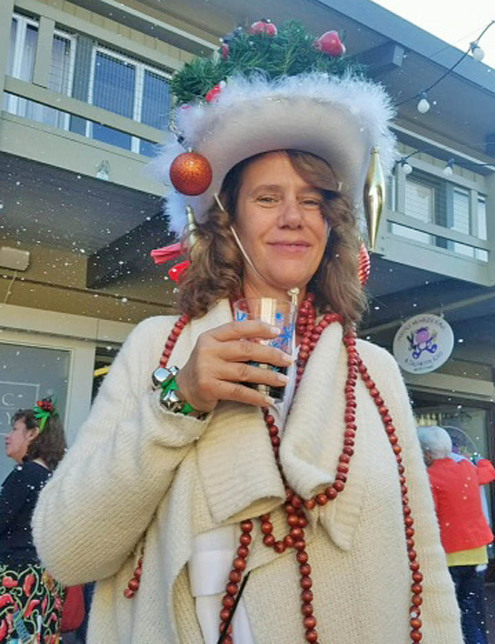 Winter in August was the theme of the Tiburon Peninsula Chamber of Commerce's mixer at the Boardwalk. 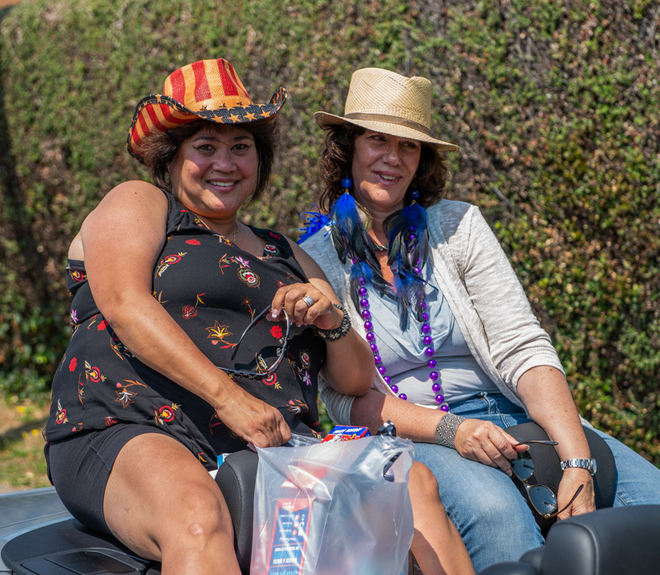 President Linda Emberson took the prize for the most creative hat. All other Wednesdays, 12:15 p.m.